I don't usually fawn over Dunhill's but that's a gorgeous pipe, Shane. Thanks, Dave! It's one of my favorite companions. Perfect size for me (group 2) to carry with me to work or to the bar and its just a simple English pipe... the Canadian is probably my favorite variation of the billiard and something about the way Dunhill does it just works for me. Fox in a Canaan Pipe Olive. Beautiful pipe and beautiful smoke! BBF in Butz Choquin freehand. Really brings out the best in this stuff! Tonight's pipe is GKCPC Chocolate in a Savinelli Venezia. MacB Navy Flake in a Charatan. A nice change of pace. PS balkan supreme in my Pete. 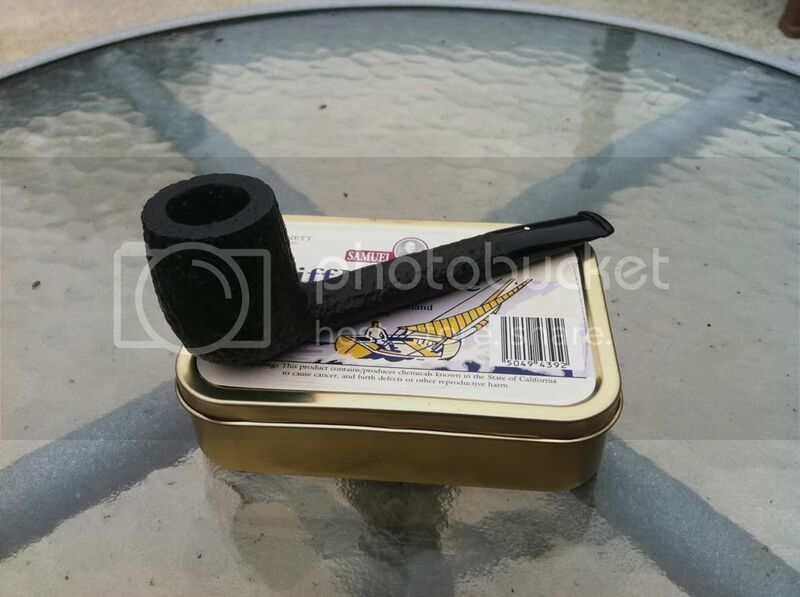 I've got a Nording Viking loaded with Embarcadero and a Pete Emerald X05 with Frog Morton ready to keep me company. Brown Clunee in a Pete bent billiard.